Recently, TransPacific Software has completed a unique website development project for a Paris-based Jewellery manufacturer. 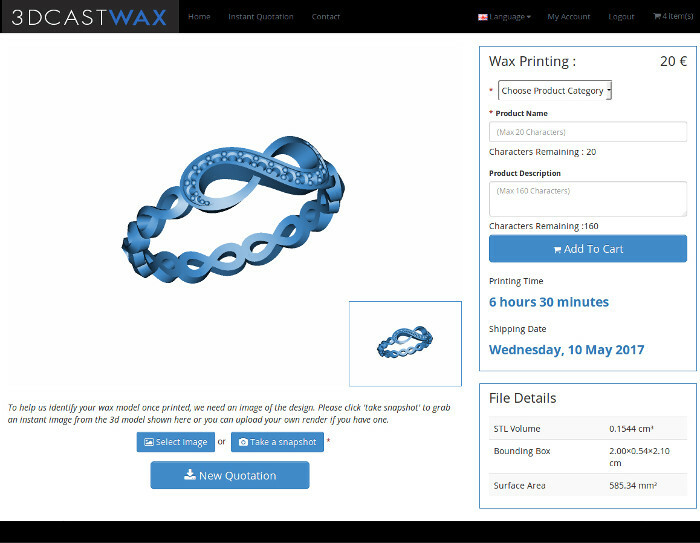 The website is called 3DCastWax and it is about getting your jewellery CAD models printed in WAX for Prototyping. The website allows a user to upload a CAD model which will be printed in wax on state of the art 3D printers and shipped back to the buyer. The challenge was to instantly compute costing of the WAX printing, so the user can decide if he/ she wants to print the model. This required a special API functionality which will compute the object volume, its surface area and bounding box dimensions to compute the costing. Getting volume of uneven artistic CAD models like jewellery rings and other ornaments, required the specialist code base. The case study is on how we have accomplished the project. 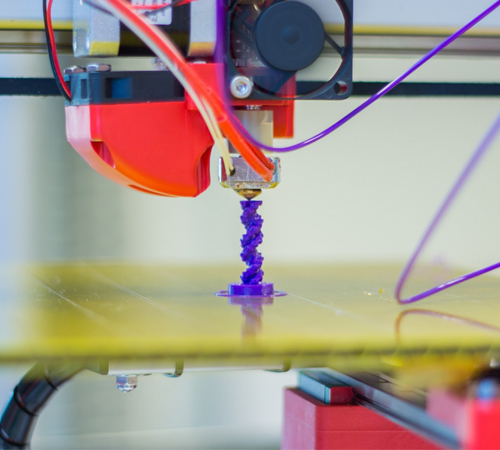 3D Printing is a process of making three dimensional solid objects from a digital file. It is an additive manufacturing process. In an additive process, an object is created by laying down successive layers of material until the object is created. Each of these layers can be seen as a thinly sliced horizontal cross-section of the eventual object. Why 3D Printing is needed in Jewelry Industry? Following are the key reasons. Professionals in the jewelry sector can save time and money by using 3D printing to make cost-effective prototypes of jewelry pieces before sending the final design for production.Jewelers no longer have to carry out various manufacturing processes required for making jewelry prototypes before finalisation of design by customers. This saves labour costs and manufacturing costs as well as lot of time for jewelry retailers. This technology empowers consumers to make jewelry in real-time. Buyers can try out 3D printed jewelry prototypes made of wax/polymer before buying and customize their own designs. This saves cost of making final precious metals models and then the customization. 3D printing allows to make complex shapes and intricate designs which would be impossible to achieve with traditional prototyping/production techniques. 3D printing can also be used in the manufacturing process of jewels to make patterns for investment casting. 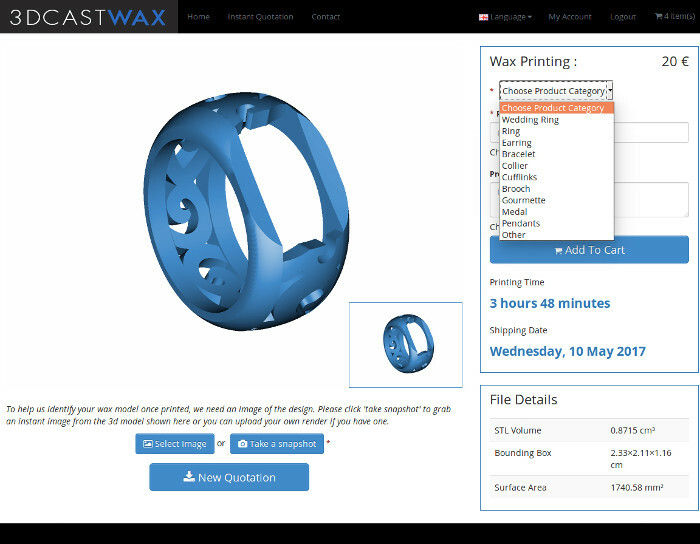 Comptoir 62 La Fayette (3DCastWax), a France based Jewelry company approached Transpacific Software Pvt. 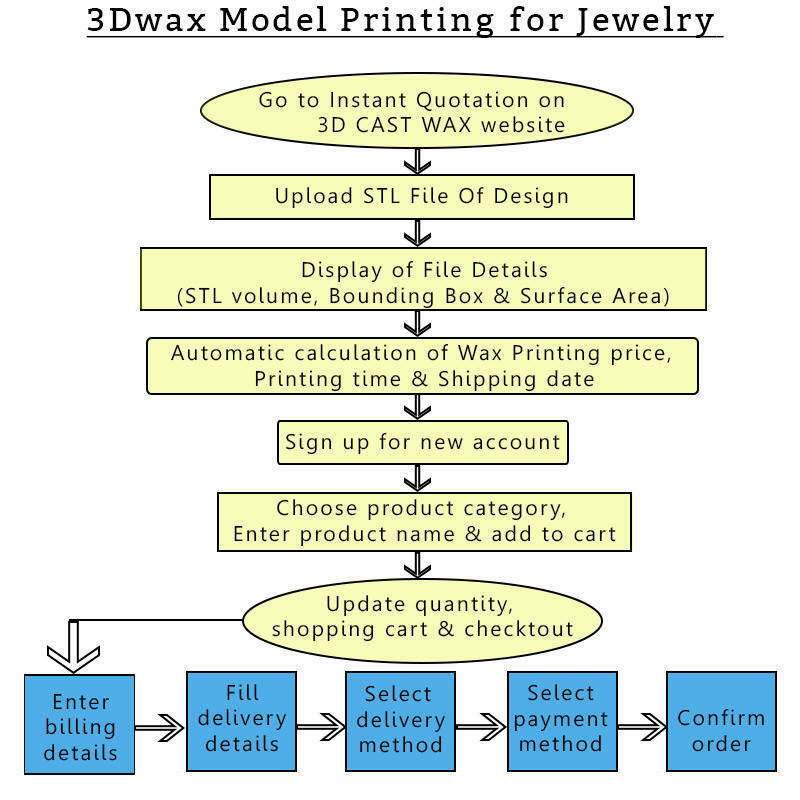 Ltd. for developing website which will enable users to purchase 3D printed wax prototypes of various jewelry products by uploading a CAD model of design. 1. When a user clicks on 'Instant Quotation' tab on website, a page asking for uploading STL file( CAD file) of design is rendered. After uploading design file, it can be moved and a snapshot can be taken to grab an instant image from the 3d model. 2. Further, File details such as STL Volume, Bounding Box and Surface Area are rendered. Based on file details, Wax Printing Price, Printing time and Shipping date get computed and are rendered on the same page. 4. As per the shipping date, 3D printed wax prototype of the uploaded design is shipped to a buyer. As per the client's requirement, Transpacific Software developed website in French language. This feature allows buyer to add money to the wallet developed in the website for faster checkouts and view credit and debit history. This feature allows buyer to view Order History, Order Information and Download the invoice in PDF format. This feature allows buyer to reorder the same design using 'Reorder', download the STL file uploaded and update product information. This feature allows buyer to choose desired shipping method and payment method. The security of the website is enhanced through SSL Security. For admin, various modules are developed for handling wax products orders. Integration of API for calculating exact dimensions (Volume, Surface Area) of uneven jewelry parts and thus calculating pricing based on the dimensions was challenging. Also, Shipping date calculations were complex due to machine running times in the wax lab. 2. Calculation of exact costing through 'Instant Quotation' feature. It saves time for both the retailers as well as customers. Due to real time price calculation in this feature, transparency in costing is maintained.